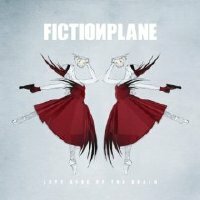 Watching Jay Leno this week, I heard a band I wasn't familiar with, Fiction Plane. 3 talented guys sang a great song called "Two Sisters". One of the best rock/pop songs I've heard in a long time. And going back to look up the name, I discovered that the NBC Jay Leno web site has a free 160kbps MP3 for download....right above a link to buy it. :) Get it right here, before somebody realizes the (what has to be) mistake and takes it down. I'm always impressed with bands that can create great music with only a few bodies. Trivia note: If you look them up, you may think the lead singer, Joe Sumner, looks familiar. His dad is Sting.